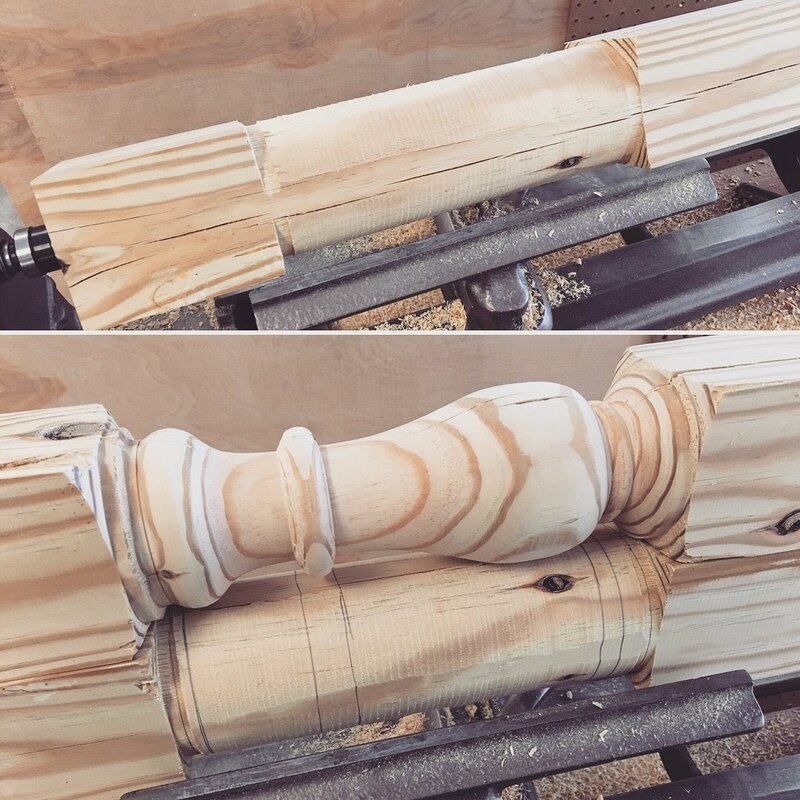 I wanted to practice turning legs on my lathe and decided a coffee table would be a good first project. 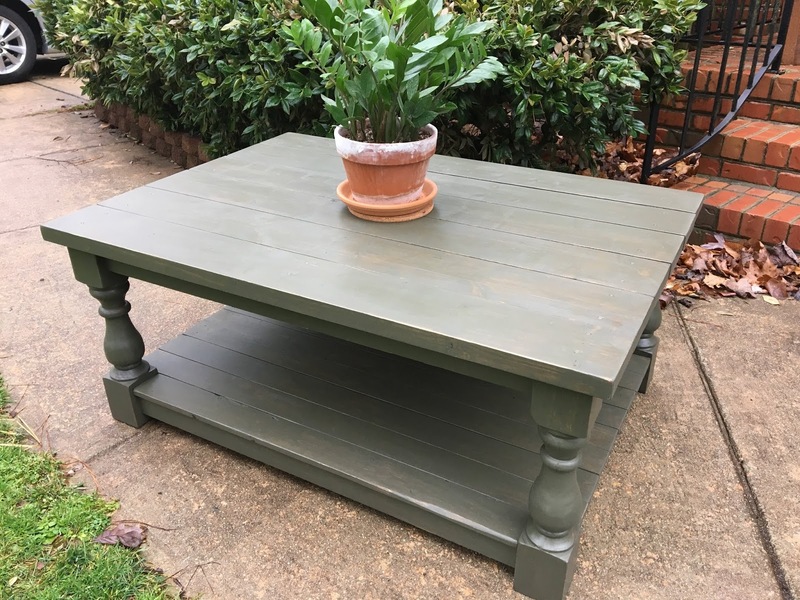 After all, who doesn’t love a coffee table with chunky legs?! 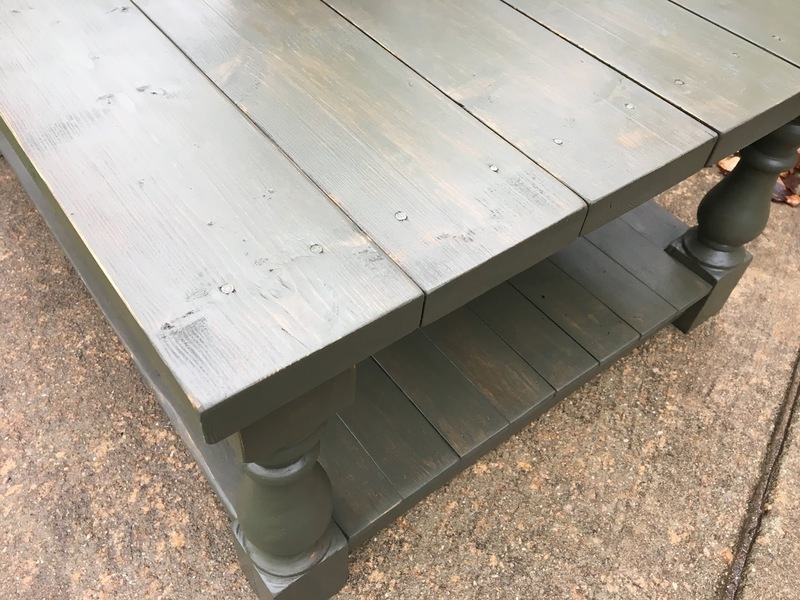 I’m not going to go into full details of the dimensions and assembly of this coffee table but thought I’d post to give the basics for anyone who wants to build something similar. 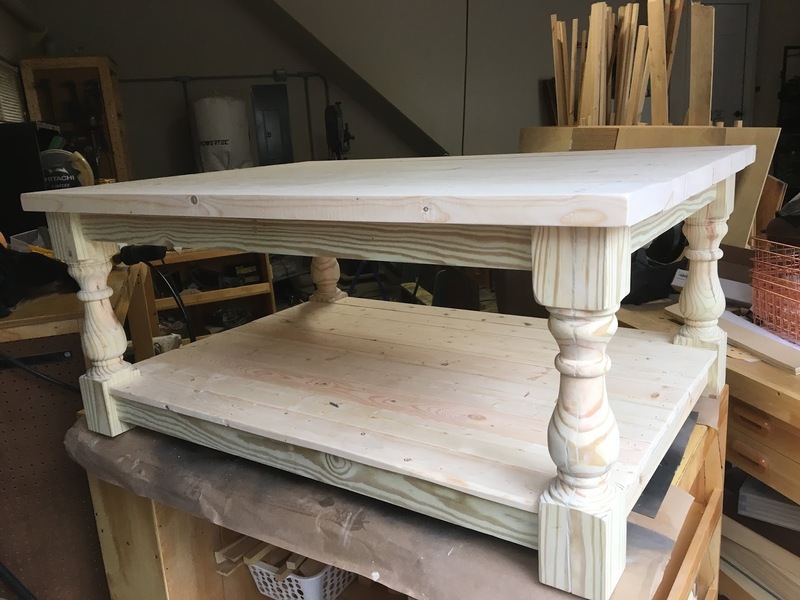 I used 4×4’s for the legs, 2×6’s for the top, 1×4’s for the bottom shelf (2×4’s cut in-half) and 1×3’s for the rails. I machined all the lumber so it was square with my jointer and planer so all the dimensions aren’t typical. I started with the legs by using the 4×4’s that I machined down to 3×3. I’m new to turning so I cut slowly and reworked everything over and over until it looked/felt right – some parts were rough but overall I was super excited! 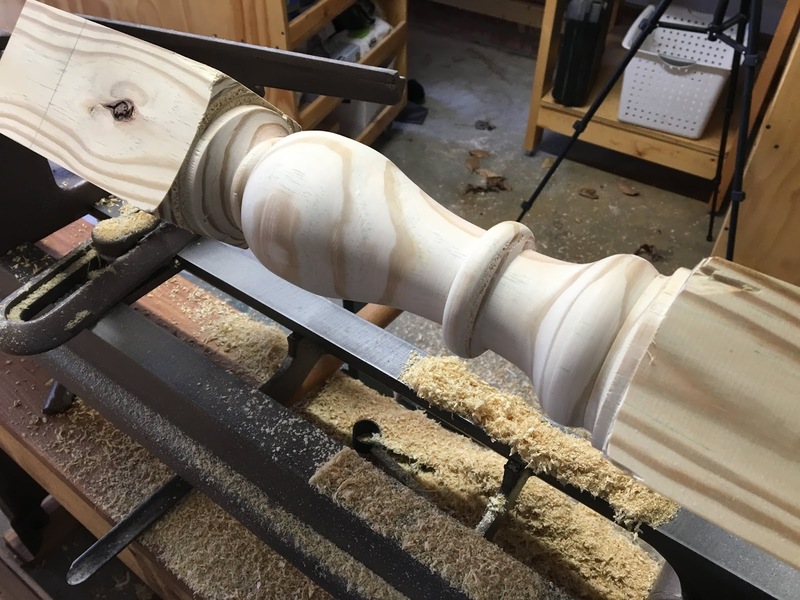 I cut the post down to a final 18″ length. 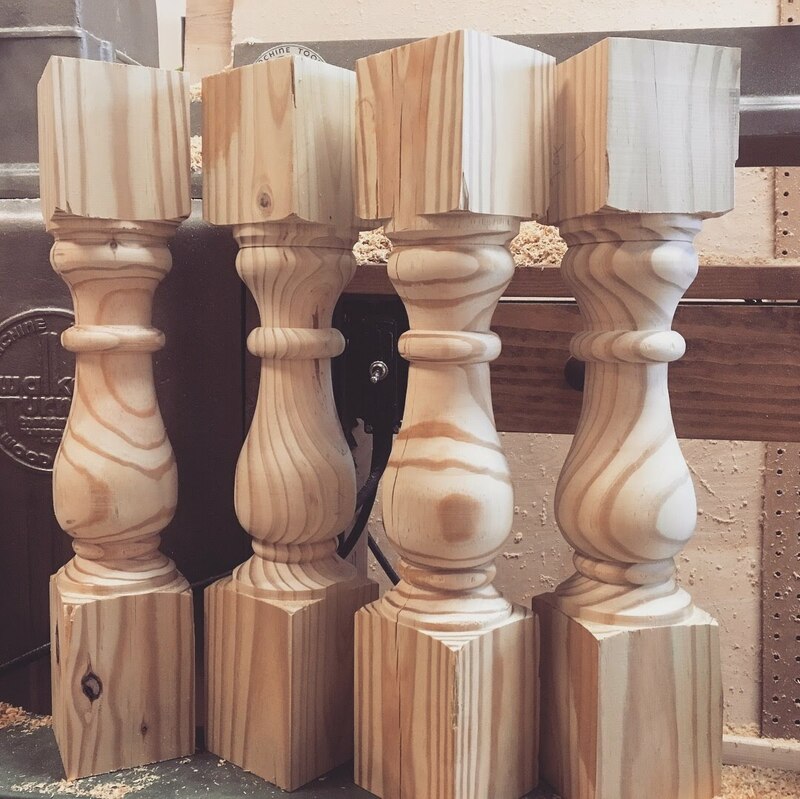 I used the first leg as a pattern for the next 3. 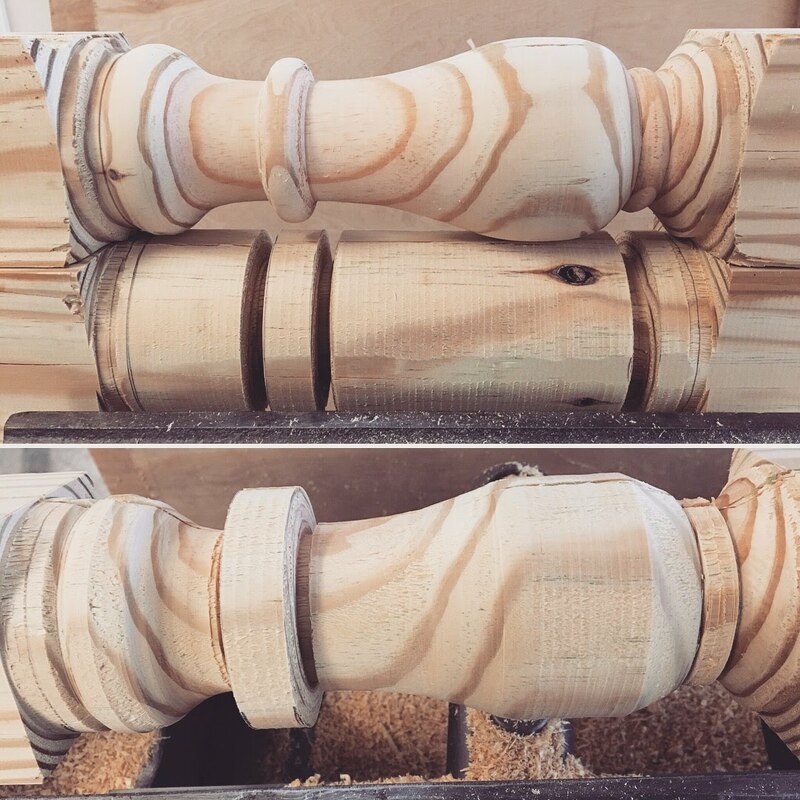 It sure starts out rough but luckily those spindle gouges do beautiful work. Yup, that’s me – super stoked! Once the legs were done I set them on the floor to map out the size of table I wanted. 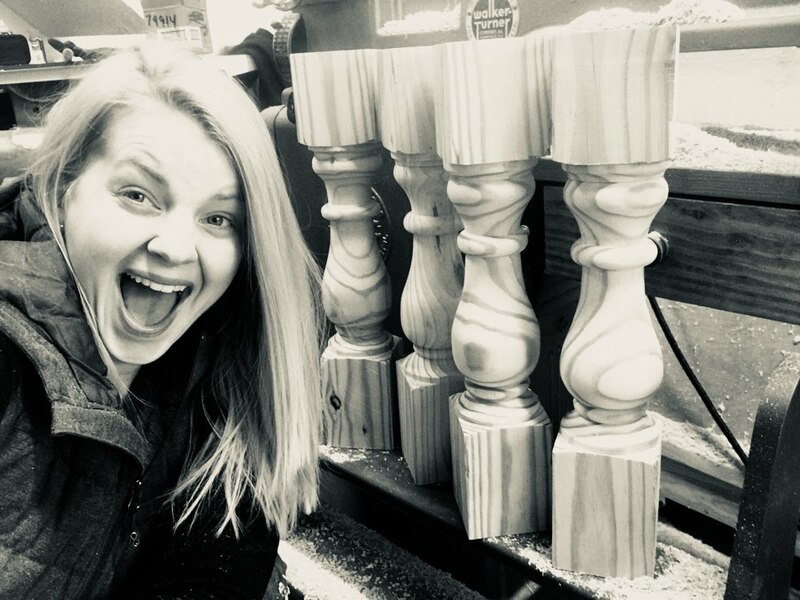 I decided having them spaced 36″ apart on the long side and 24″ on the short felt good… so those are the length of rails I cut from my 1×3 lumber. 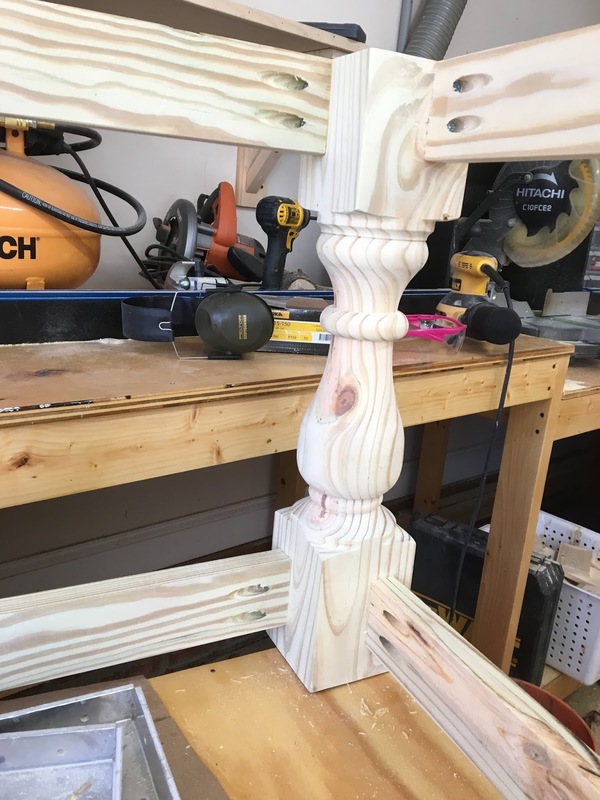 I used a 3/4″ spacer board to inset the rails from the legs. 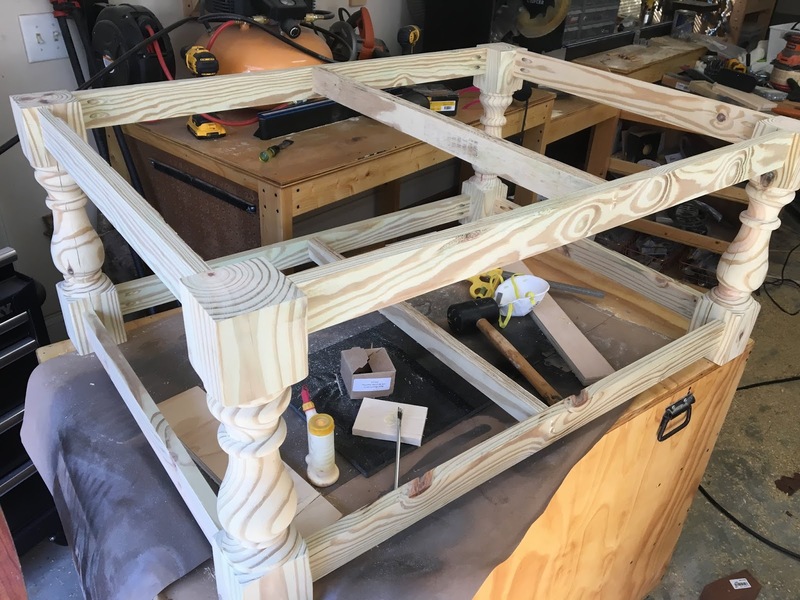 I used glue and pocket-hole joinery for the frame. TIP: measure from your corners to ensure everything dries square. 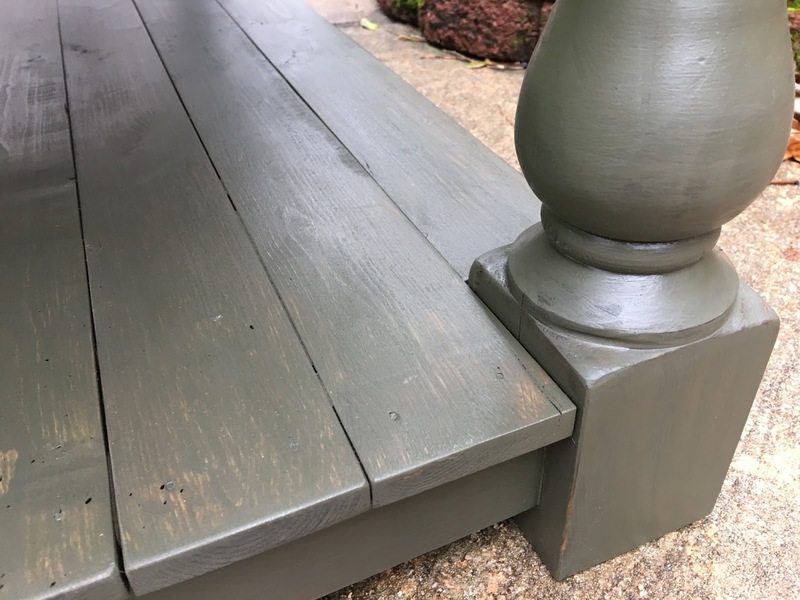 I filled cracks and knots with filler and sanded everything down to 180 grit. Next I resawed some 2×4’s to make 1×4’s (trying to use what I had)! The boards are a bit wonky but I put them through my planer and they turned out beautiful (some still having a bit of rustic charm)! 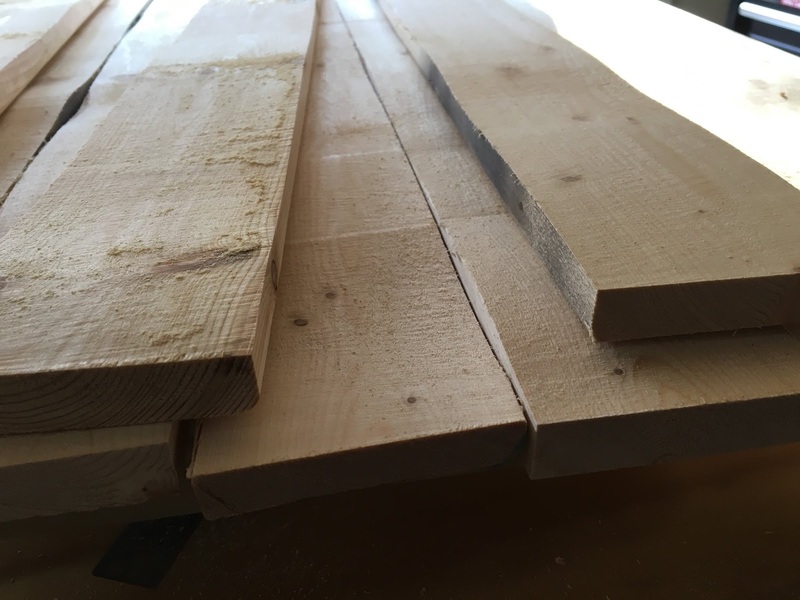 I cut the 1×4’s to 42″ long (all boards measured 30″ across together) and sanded to 180 grit before assembly. 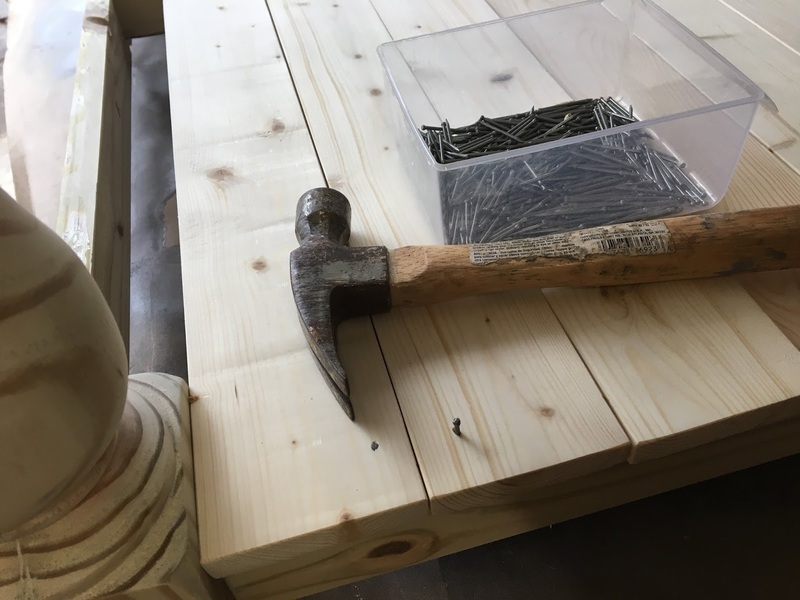 I used glue and nails to attach to the rails (including the center rail). 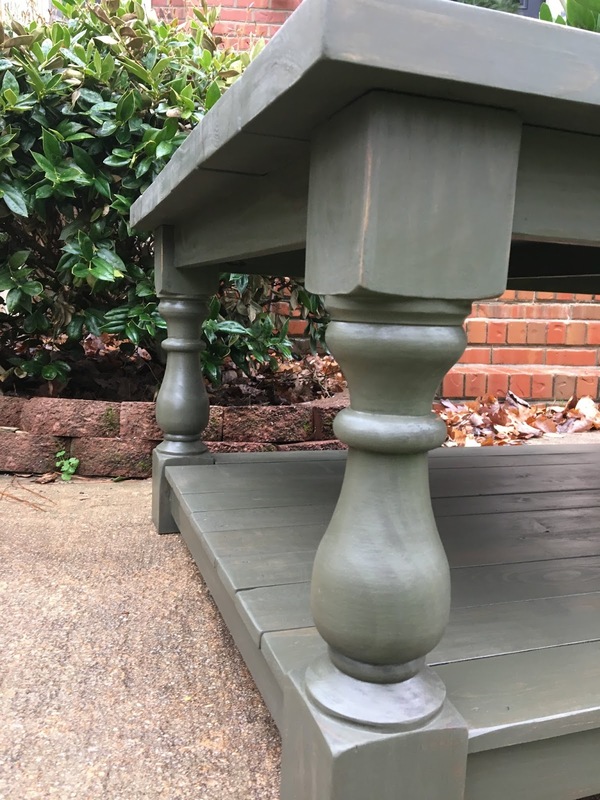 TIP: be aware that your wood will have movement with the seasonal changes. Because I built this when the air was dry and cold I left a bit of space between the boards on my shelf to allow for swelling. 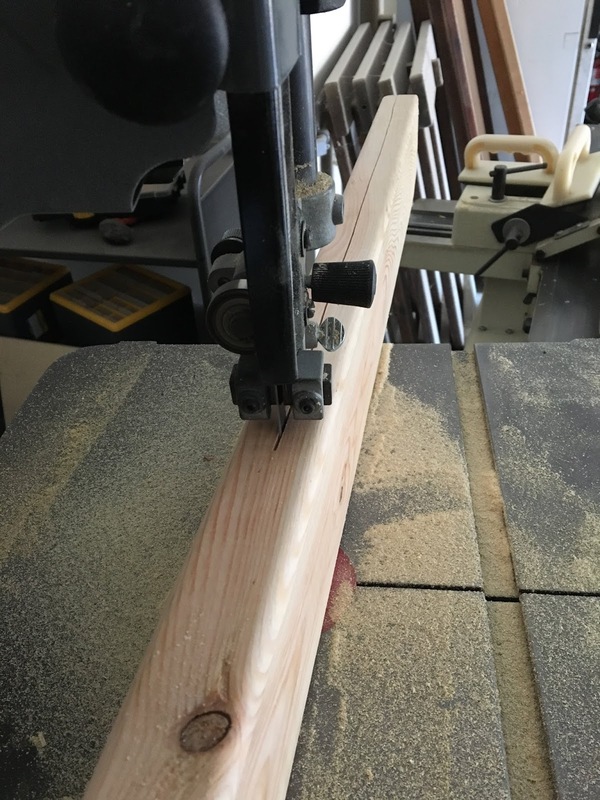 I machined the 2×6’s for the top, cutting them to a length of 45″ (all boards measured 32″ across together). I glued and nailed these boards down just as before but with thicker nails. 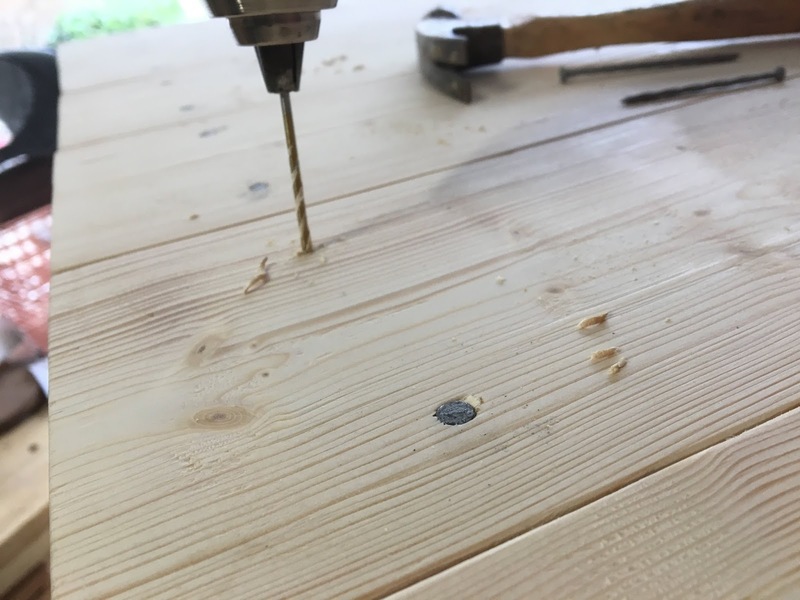 My nails kept bending trying to go through the dense pine so I pre-drilled small holes to help them go in better. 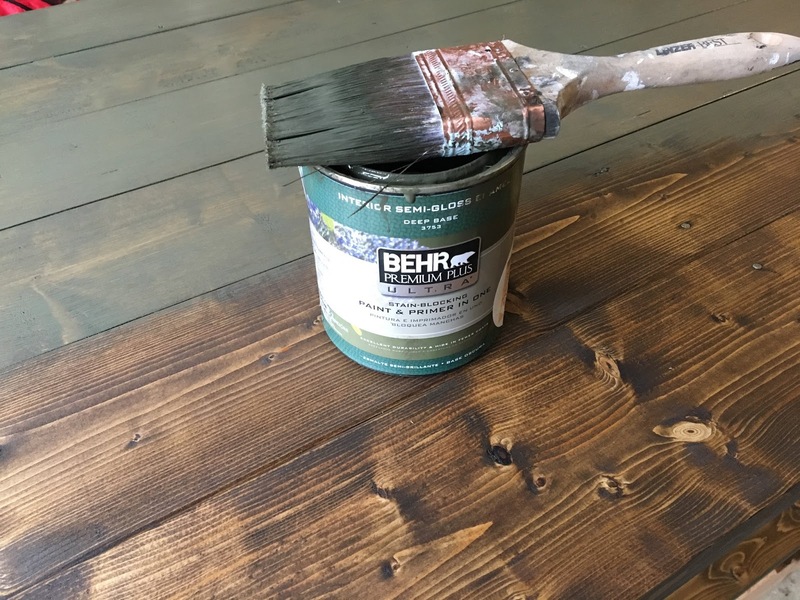 TIP: allow for swelling of your boards by keeping a space just as before. TIP: I don’t wipe my glue when it’s wet because it smears all over and it’s difficult to sand away in corners. I wait about 4 hours and go back with a sharp chisel and cut it away while it’s still pliable but not gooey. 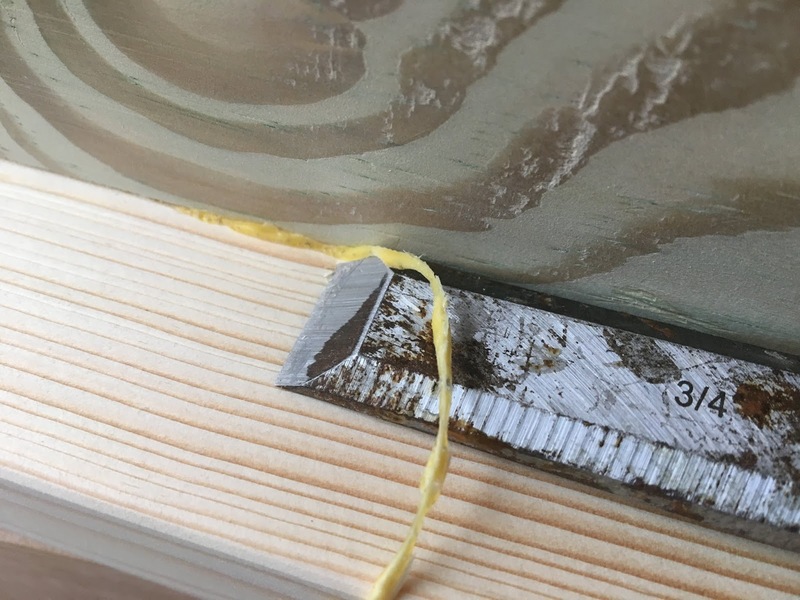 If you wait until the glue is hardened completely it’s more difficult. I did a final sanding and prepped for stain! 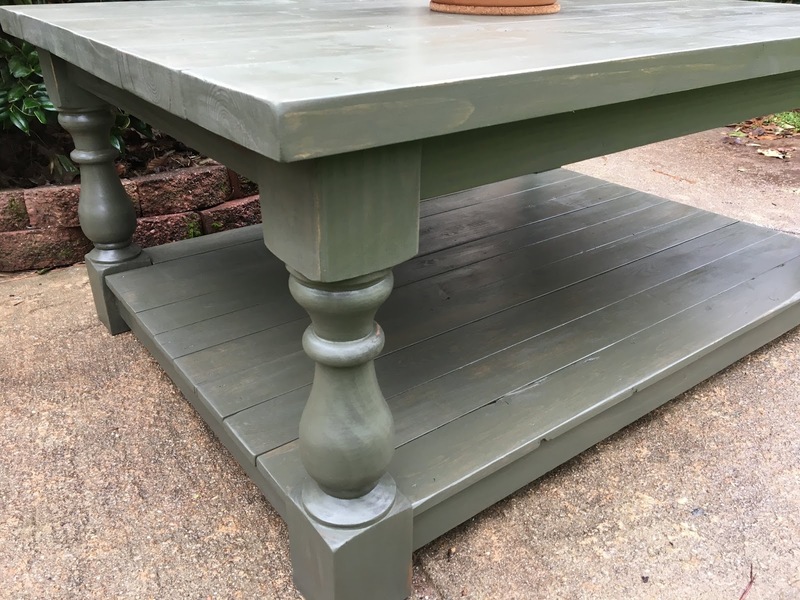 I stained the table a Dark Walnut and went over it with a very light coat “dry brush” of sage green paint. Once the paint was dry I went over it with 0000 steel wool and did another light pass of paint. Once that was dry I distressed the edges lightly with another steel wool pad. I’m so happy with how it turned out! 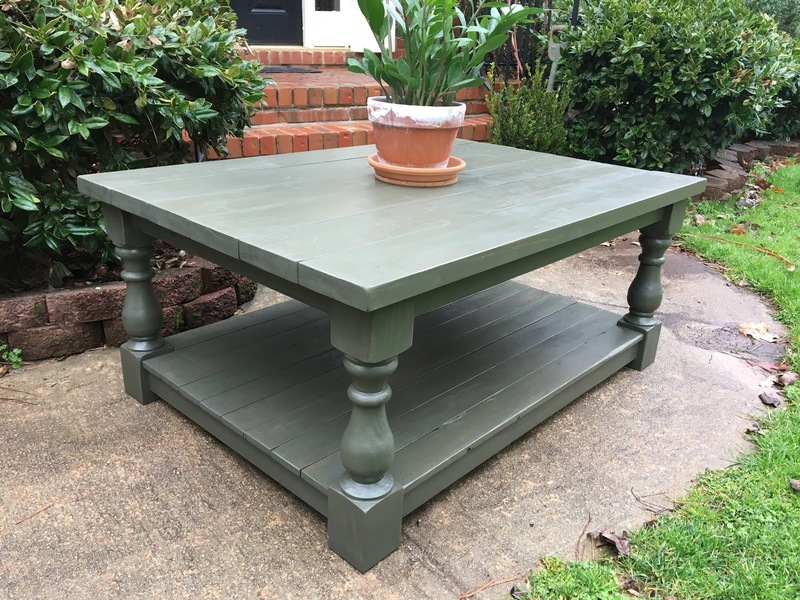 As much as I LOVE this table I’m going to sell it to save up for a better table saw! I’d love to know if this post helps you!